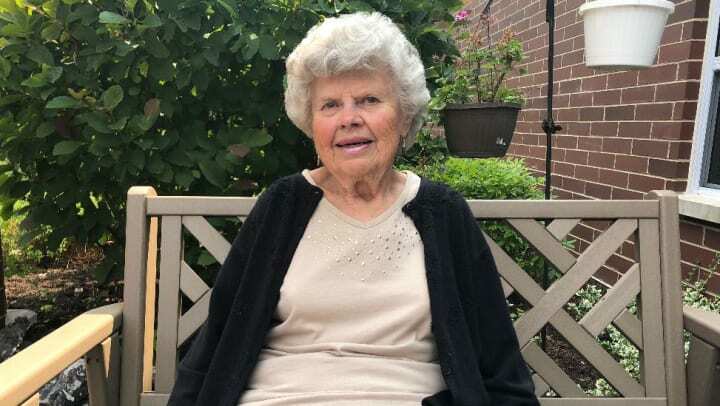 Like many older adults who face the emotional and sensitive challenge of leaving their home behind, Dee Kozlowski of Crest Hill, Illinois was hesitant to say the least. 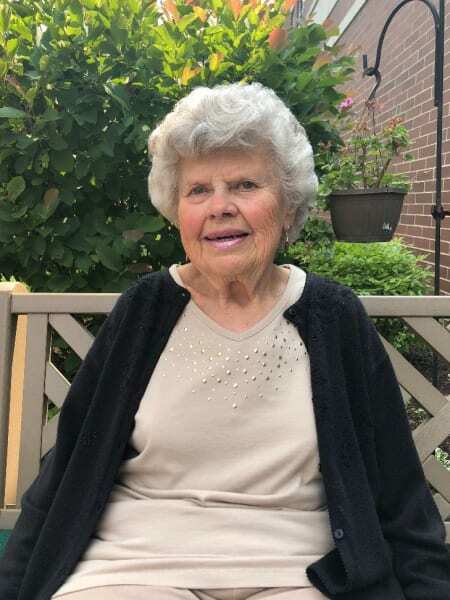 However, Dee's adult children shared the story of so many other families who arrived at a difficult decision for their mother — it was time to start exploring senior living options after a fall and heightened feelings of isolation. Joe Kozlowski says of his mom, "She had nobody to talk to and she needed to be around people." It was then that Joe — along with his brothers Kenneth and Wayne — began the search to find the perfect home for their beloved mom. When the Kozlowski family had their initial visit at Oak Hill, Dee was not impressed. "I didn't want to stay here, I didn't want to leave my townhouse. I wanted to go back to where I lived," the mother, grandmother and great-grandmother says of her initial moments inside the community. Although living minutes away from her family, Dee admits, "I was afraid to be alone." Kenneth and Wayne, who live in Florida, closely coordinated cross country with their brother Joe to find a home that would allow their mom to not only feel less alone, but to enhance her life. When Dee agreed to visit Oak Hill and take a tour of the community, she maintained her obstinacy but eventually acquiesced and moved into Oak Hill on a three-month trial basis. Something happened that Dee didn't expect — she found a home. Dee's social life was reinvigorated and friendships were instantly formed not only with other residents in the community, but with the team who helped her rediscover a life of meaning. "It's unbelievable the change that came over her," Joe awes. "I couldn't believe it was my same mom." And more than friends, Dee found a second family. Holding back tears, Dee confesses, "I prayed to Jesus that I would find a family and I finally found them." It's been almost six months since Dee moved into Oak Hill Supportive Living on a trial run. And now, she can't imagine her life without the passionate and sincere support of the team, her close community friends and her comforted sons. Dee affirms, "I love everybody. I can't say enough about this place. They took me in right away." Dee is excited for the road ahead and eager to rediscover her passions like gardening, art and friendship. Adding, "I felt like I needed a family and I did find my family here. This is my family." For adult children looking to help their parents rediscover the individual they used to be, Joe reassures that change is often hard, but well worth the struggle. "I got my mother back. She has the zest for life again." To speak to one of our Lifestyle Specialists about making the change in your loved one's life, call Oak Hill Supportive living at 847-201-4179.